Welcome to our modern, City Triple Room. This room includes free high-speed internet (perfect for posting your latest photos to Instagram or connecting with family and friends), comfy beds to ensure a great night’s sleep and complimentary continental breakfast to get you started every morning as well as a refreshing powerful shower. Plug in your gadgets and gizmos to plenty of power outlets (with international plugs). 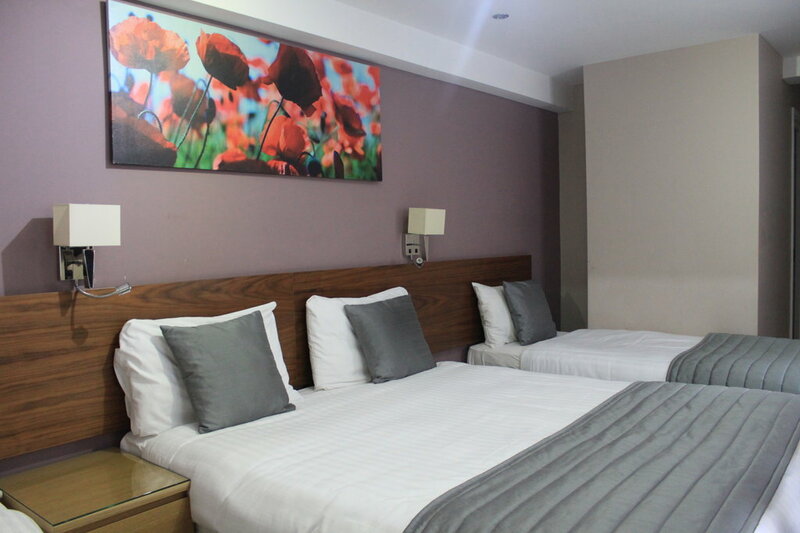 Enjoy an excellent base from which to explore London – we are centrally located and close to top tourist attractions. But travel light! Our rooms are compact and we do not yet have a lift.